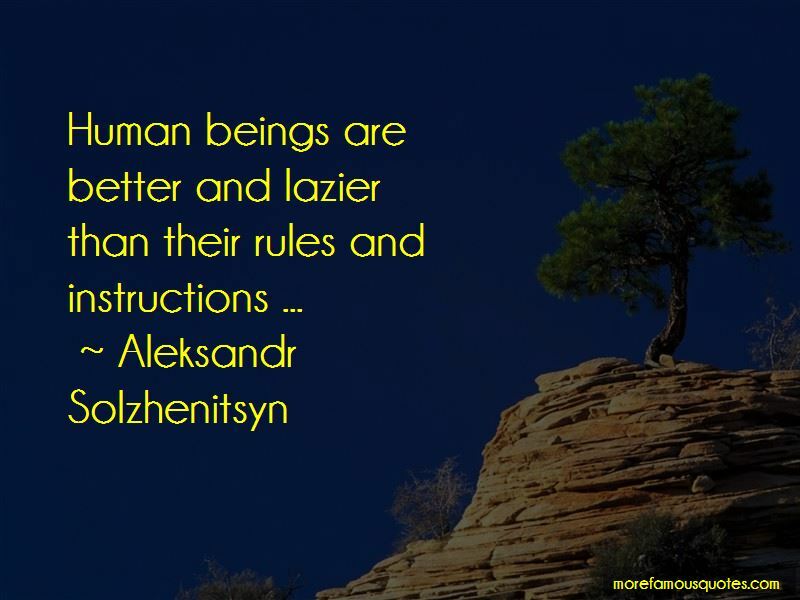 Enjoy the top 446 famous quotes, sayings and quotations by Aleksandr Solzhenitsyn. It is in the nature of the human being to seek a justification for his actions. “What is an optimist? The man who says, "It's worse everywhere else. We're better off than the rest of the world. We've been lucky." He is happy with things as they are and he doesn't torment himself. “The meaning of existence was to preserve untarnished, undisturbed and undistorted the image of eternity which each person is born with - as far as possible. 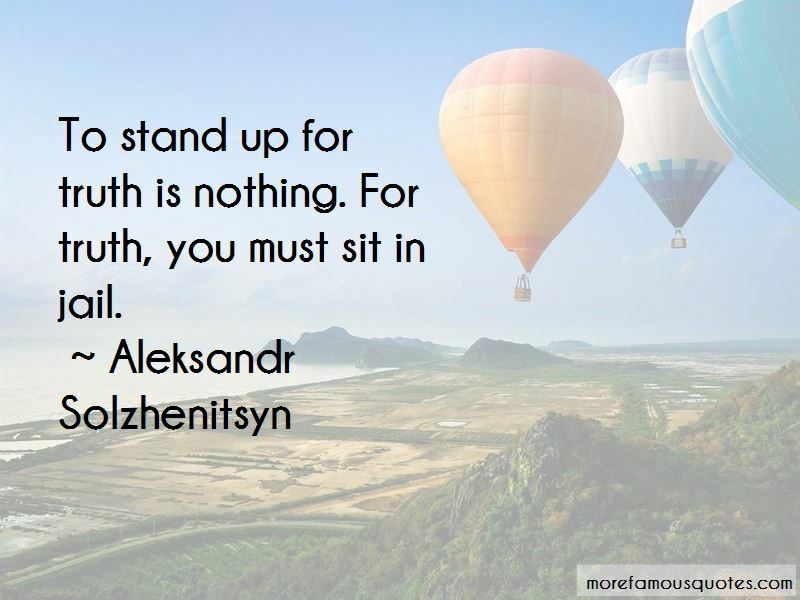 “But it is impossible to picture any of our interrogators, right up to Abakumov and Beria, wanting to slip into prisoner's skin even for one hour, or feeling compelled to sit and meditate in solitary confinement. We were sawing firewood when we picked up an elm log and gave a cry of amazement. It was a full year since we had chopped down the trunk, dragged it along behind a tractor and sawn it up into logs, which we had then thrown on to barges and wagons, rolled into stacks and piled up on the ground - and yet this elm log had still not given up! A fresh green shoot had sprouted from it with a promise of a thick, leafy branch, or even a whole new elm tree. We placed the log on the sawing-horse, as though on an executioner's block, but we could not bring ourselves to bite into it with our saw. How could we? That log cherished life as dearly as we did; indeed, its urge to live was even stronger than ours. Without even knowing it ourselves, we were ransomed by the small change in copper that was left from the golden coins our great-grandfathers had expended, at a time when morality was not considered relative and when the distinction between good and evil was very simply perceived by the heart. But this became the first plan of his life to fail. God told him - apparently with the help of human hands - to depart from his ribcage. “There were once again believers, who this time were unwilling to work on Sundays. (They had introduced the five-and the six-day week.) And there were collective farmers sent up for sabotage because they refused to work on religious feast days, as had been their custom in the era of individual farms. And members of non-Orthodox sects were arrested on an ever-wider scale. Who will dare say he has defined art? When you're young, you haven't the experience, when you're old you haven't the strength. 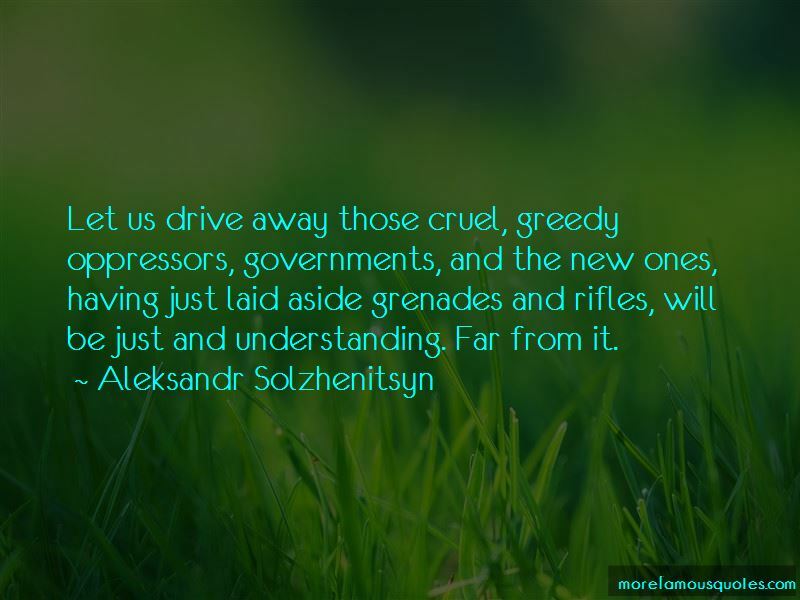 Want to see more pictures of Aleksandr Solzhenitsyn quotes? 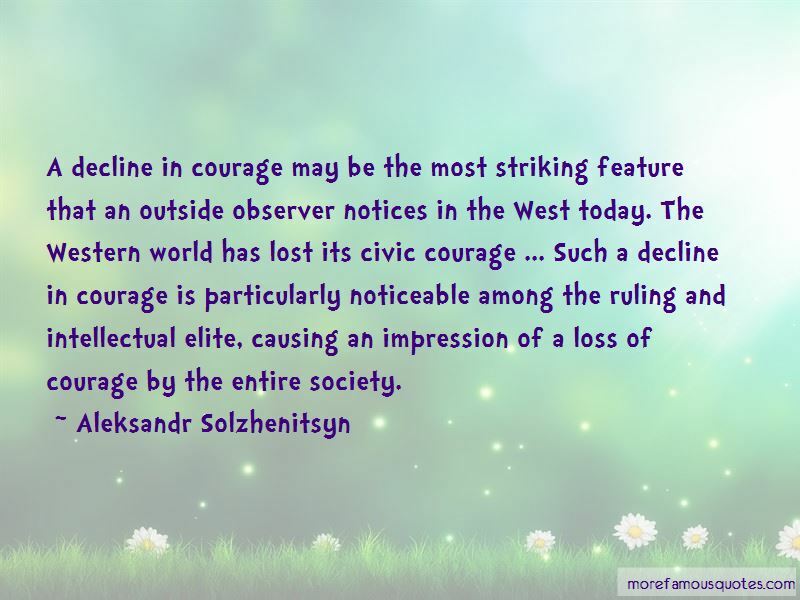 Click on image of Aleksandr Solzhenitsyn quotes to view full size.